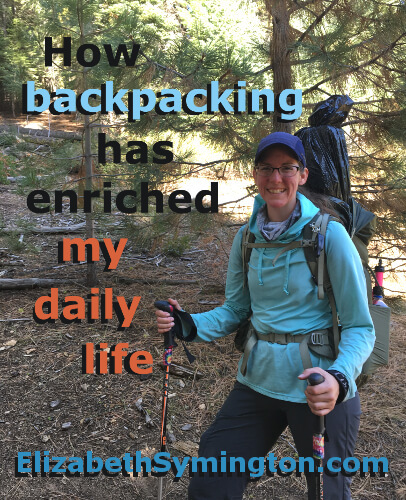 This is Day 14 of the 31 day series on “How backpacking has enriched my daily life.” I expected lightweight backpacking to be a hobby. Instead it has transformed me for the better. Recently when I was helping my mom’s Operation Christmas Child (OCC) sewing group fill their Christmas shoe boxes full of presents for impoverish kids, I kept thinking about the 10 Essentials for Backpacking. The 10 Essentials are the most vital wilderness survival items that all day-hikers and backpackers should carry on every hike. The shoe boxes are often the only present that these kids will ever receive. By packing toys as well as survival items, this could be a life changing present. On the OCC site, several heartbreaking testimonies by orphans shared how their favorite presents were the facecloths and the toothbrushes so that they no longer had to share with 20 other kids. 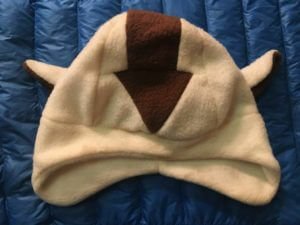 Toys are very important to include, but so are the survival items. Go over here to learn about the 10 Essentials and how to apply them when packing a Christmas Shoe Box. National Collection Week for OCC shoe boxes is November 13-20, 2017, so there’s still time to pack your own shoe box! The kids ages 11-14 get the least amount of shoe boxes, so I wrote this post full of ideas on what to include in their Christmas shoe box. I’m grateful for learning about the 10 Essentials for wilderness survival, because it has changed what I pack in a Christmas shoe box. I hope the present will help the child to feel empowered and loved. I LOVE Operation Christmas Child and pask boxes every year. This year for the first time, I made sure all my boxes had dresses for the girls. And for the 10-14-year-old girls we made cloth menstrual pads and bags to hold them. INext year I am excited to buy at least some of the items you recommend in the linked post especially the navigation, illumination and first aid categories. BTW – when I decluttered my book case I found a BUNCH of space blankets. Oh, well. I have a head start for next year. Ohh! May I dib a space blanket for myself? You are very inspiring with all of the OCC Christmas boxes that you put together, especially with organizing a group of ladies to sew together to hand make a lot of the presents that go in the boxes! I look forward to us making boxes together next year that have hand crank flash lights, a water filter and other survival gear.